More SX tickets coming your way! This week's tickets are for AMA Supercross at Qualcomm Stadium in San Diego, CA! 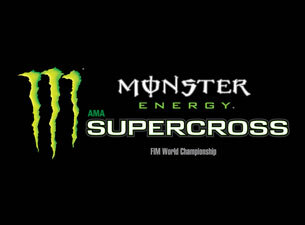 Two (2) tickets to the Monster Energy AMA Supercross at Qualcomm Stadium, San Diego, CA on Saturday, Feb 19, 2011. The tickets will be mailed to your provided address via USPS Priority Mail on Tuesday, Feb 15, 2011.